Releasing a new a book is what I imagine giving birth is like minus the excruciating pain. The idea was conceived pretty quickly and now for “nine months” I have been laboring and struggling to write and edit and rewrite and edit and rewrite and rewrite and edit and..well, you understand. Writing is a slow and often uncomfortable process. But then the moment happens when the book enters into the world with applause and smiles, and even a tear or two. I am so happy to announce my new baby, er…book, is here! N.T. 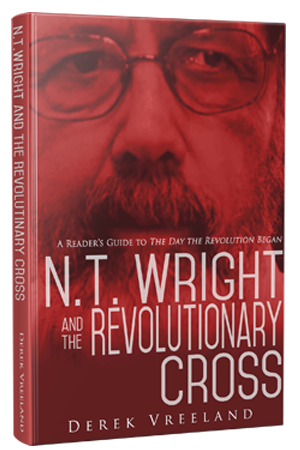 Wright and the Revolutionary Cross is a reader’s guide to N.T. “Tom” Wright’s 2016 book on the cross, The Day the Revolution Began. This is the second reader’s guide I have written for a N.T. Wright book. The first one, Through the Eyes of N.T. Wright, was released in 2015. I’m surprised at how well-received that book has become. I continue to hear from people (two years after its release) who have found it helpful. This new book will give you access to exploring the meaning of the cross. Click here to download Chapter 1 of N.T. Wright and the Revolutionary Cross for free. While in my previous reader’s guide I did less interpretive work, I do more in this one. As I have become more familiar with Tom’s work and as it has affected my own, I have grown more comfortable with blending my own interpretation of Tom with his key concepts. Another difference between this reader’s guide and the last is I have included reflection questions at the end of each chapter to be used for personal or small group study. The reflection questions at the end of each of the six chapters will be a great way for individuals or groups to use this book to dig deeper into Tom’s world. I believe his book is a real game changer. He wrote The Day the Revolution Began on a “popular level,” leaving out long footnotes and references to other works, but his book still ended up over 400 pages in length. My reader’s guide will help you understand most of Tom’s primary points which I hope opens up new vistas of the love of God revealed in the cross. What Does Tom Think About This Book? The answer is as complex as Tom himself. Professor Wright has been my primary theological mentor for years now and there is no denying my man crush (#bromance). I am a Tom Wright super fan! 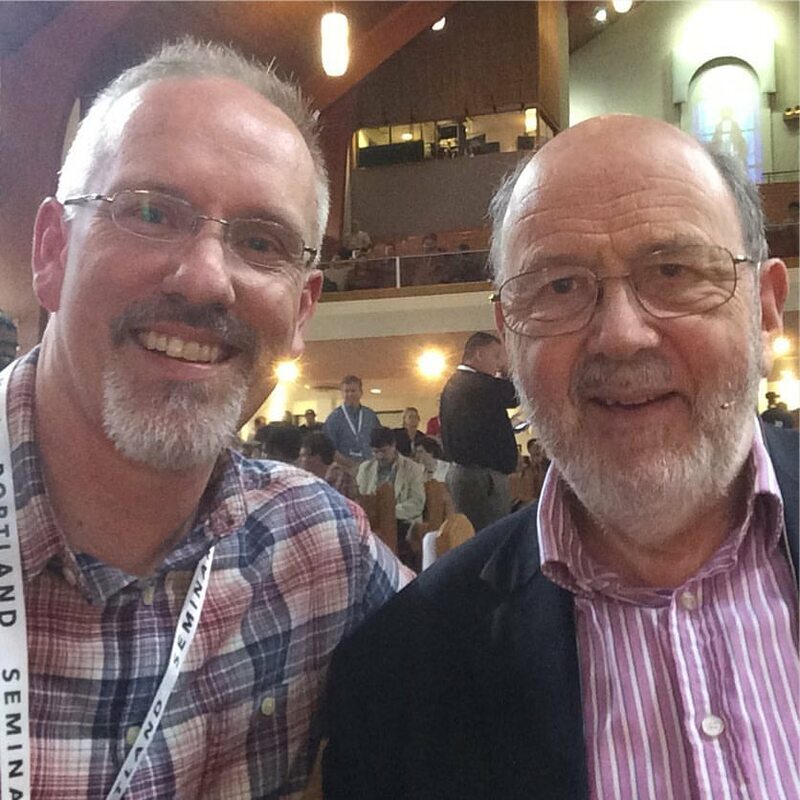 I talked to him briefly at Missio Alliance’s Awakenings gathering earlier this year and I asked him if it was ok if I continued my summary work. He said he understood why I am doing what I’m doing and expressed his appreciation. In previous emails to me, he was clear that he really didn’t like being summarized because of what is left out in a summary of his books. When I finished the manuscript for N.T. Wright and the Revolutionary Cross and began the editing process, I sent it to him. Two weeks later I got a response. He again thanked me for my work, but felt that there seemed to be a better way of doing this. Time limitations and work demands prevent us from working together on some other way of disseminating his ideas, so for now a reader’s guide is all I have to offer. He did read the manuscript and offer over 30 comments. This was such a gift! There were no major corrections. Rather he offered subtle critiques here and there. He did in the end say that he felt like I got some things right and in other places I said some things in my own words, things he was not saying in the book. As a reader’s guide this is both summary and interpretation. If you want to know whether what I have written in N.T. Wright and the Revolutionary Cross is my words or Tom’s, you will have to read my book along side his. Reading them together is the best way to get the most out of my book. What N.T. Wright and the Revolutionary Cross will do, in less than 100 pages, is present to you, in stunning clarity, the power and beauty of the cross. Those of us who have grown up in an evangelical context have one or more ways of seeing the cross that have obstructed our view of the revolutionary nature of the cross. We have debated and argued about “atonement,” the precise meaning of how the cross saves us, but I fear we get lost in the trees, not seeing the expanse of the forest. The Messiah’s crucifixion unveiled the very nature of God himself at work in generous self-giving love to overthrow all power structures by dealing with the sin that had given them their power, that same divine nature would now be at work through the ministry of the gospel not only through what was said, but through the character and the circumstances of the people who were saying it. I would love for you to get a copy of my book. It is available NOW in paperback and as a Kindle download from Amazon.com. It will be available at Word of Life Church/Solomon’s Porch in St. Joe beginning Sunday, September 9. If you do get the book could you do a couple other things to help get the word out? Tom Wright says a revolution has begun, a revolution initiated by the death of Jesus on the cross. This revolution beckons us to join. I am in. How about you?